Brisbane Airport Corporation’s (BAC’s) newest industrial tenant, Quality Foods and Beverages (QFB), has moved into its new purpose-built premises within Airport Industrial Park. 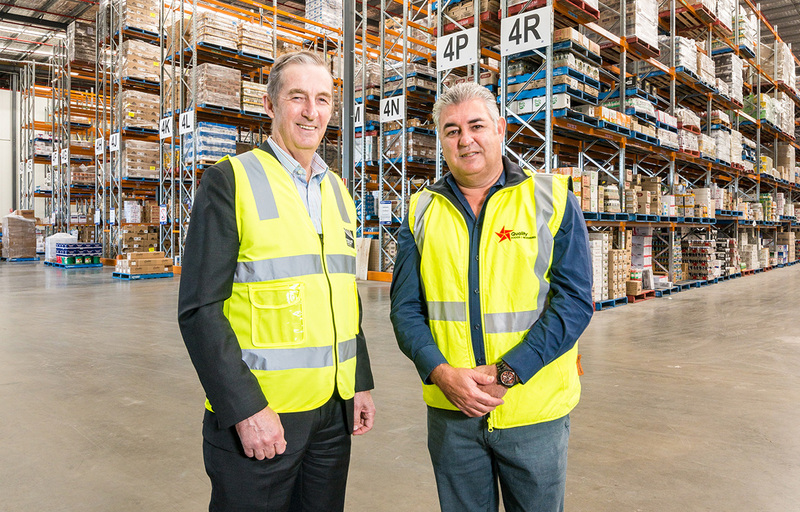 QFB Director Frank De Pasquale said the relocation effort from the company’s expended Stafford complex took approximately 72 hours and the food and beverage supplier is relishing the growth opportunities their new 11,260m² facility will support. “We’ve come from humble beginnings — just myself with one truck servicing a few schools in Brisbane with single-serve lasagne,” Mr De Pasquale said. “Now, the 800+ schools we supply make up approximately 20 per cent of our business with the remainder of our revenue coming from cafes, bars, clubs and pubs. BAC’s General Manager of Commercial Businesses John Tormey said a good portion of tenants moving to Brisbane Airport were doing so because of the ongoing option for onsite expansion. “A number of tenants moving to Brisbane Airport are experiencing similar facility constraints that QFB experienced at its Stafford location,” Mr Tormey said. “We work with these tenants to secure a suitable location to accommodate their existing and growing business needs. “In the case of QFB, the site at Airport Industrial Park has capacity for future expansion options both within the existing facility, as well as within the greater lease boundary. Land development is currently underway for 30 hectares of Airport Industrial Park. The Park project delivery will ensure sufficient land is available to meet future industrial needs within the growing airport precinct. For more information contact Shane Sparks, Property Development Manager, +61 408 753 945 or shane.sparks@bne.com.au.